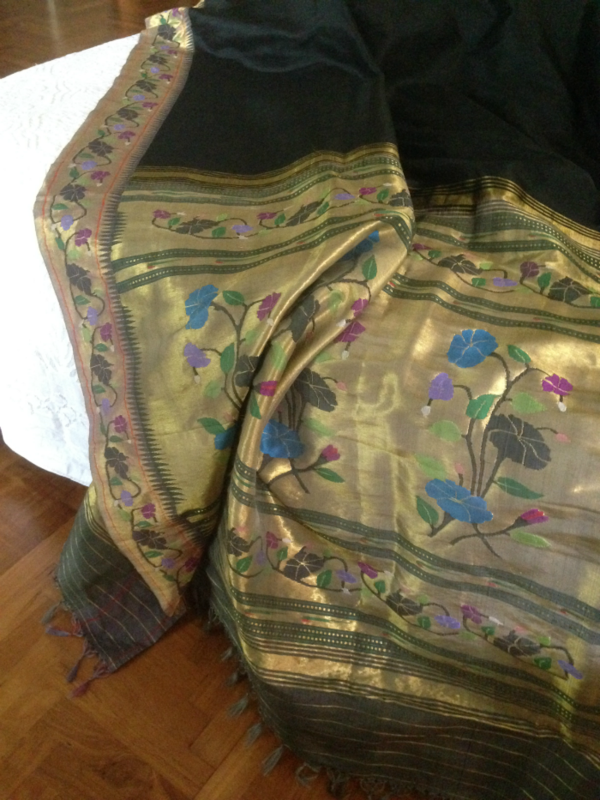 i think it was in 1984 that i first heard of paithani sarees. while struggling with the correct way to say the name and marveling at all the stories of how real gold thread was used in its tapestry weave and how the art was almost dying but now the government of maharashtra was reviving it, and oh they were so expensive so exclusive (that favourite word) and almost sighing at the fact that i’d never ever be able to acquire/afford one, i of course never thought the paithani saree would actually take me to ancient rome one day. and yet, that’s exactly where this black paithani took me this afternoon. a few years back, determined to get myself a paithani and not be deterred by the fact i was not in india, nor the price (i muttered severely to myself about how this was art and one just had to, etc.) i started searching the net for a good shop. found touch of class paithani there. lovely young woman called rashmi tapadia runs the place and after i’d gone ahead and bought one without knowing anything about them other than what they said on their website, i was totally floored by the way the whole things was managed. 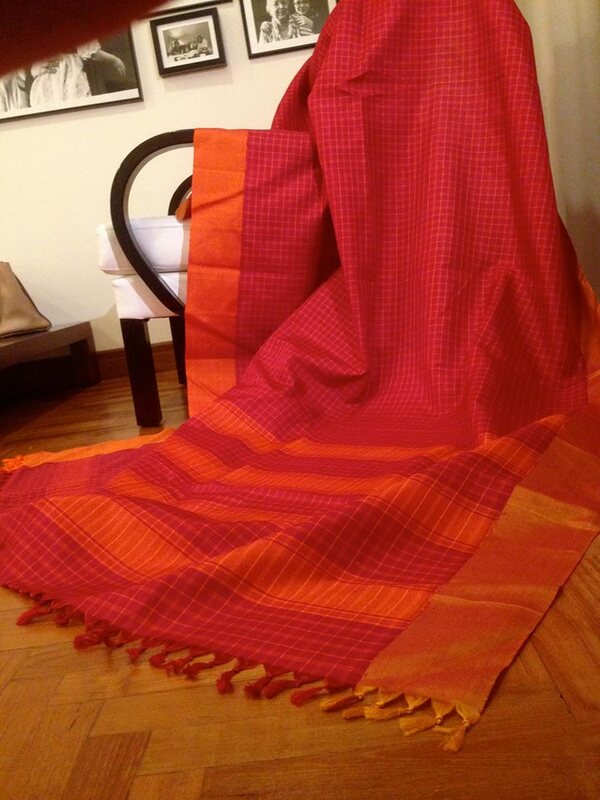 the no fuss, easy way of working, the prompt service and finally, ah the saree… a beautiful off white with fiery orange border. 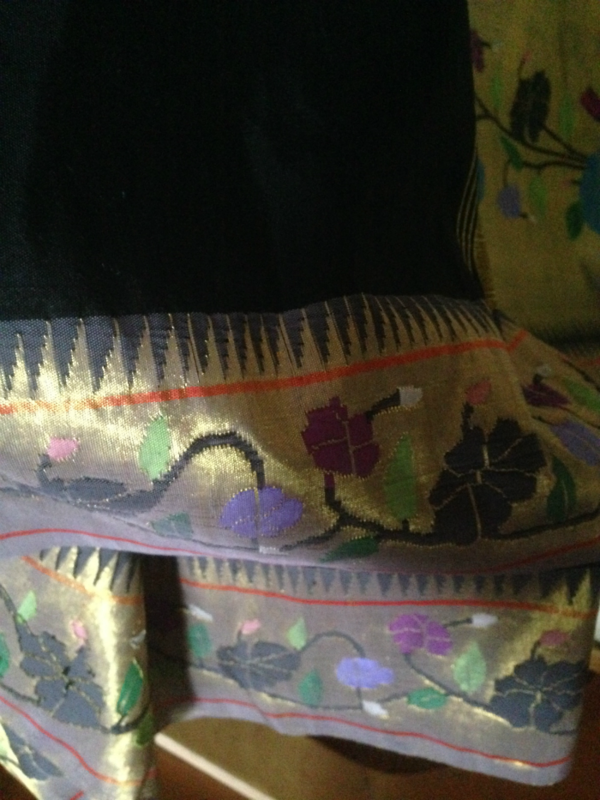 i called rashmi to thank her and found myself asking if she customised sarees. of course, she did. and what was the zaree like? was it really gold zaree? she said, no, but they did use very high content silver zaree thread for some of their sarees and silk from bangalore, not china as it originally used to be. they had their own looms where ancient motifs were adhered to and the weavers got a decent deal. 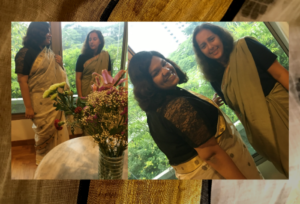 there’s a certain joy in discussing a saree and getting it the way you want it to be, though with ample respect for the creators’ instinct. if they sound totally stressed by your ideas, good to hear what they have to say. i wasn’t disappointed with the blue saree that came of our first chat. and just yesterday this one arrived. jet black with shades of mauve and purple, a touch of blue in the pallu… i notice flecks of pale pink here and there, such a fine understanding of colour and impact. as i pranced about the room, showing it to whoever was around, i started reading the brochure accompanying it. there was something about the satvahana kings and ancient rome there. i had read this before but suddenly this time it got me. i am imagining this gorgeous roman lady, statuesque and most haughty, wrapped in her paithani something or the other. paithani toga??? mutter mutter. what did beautiful women of rome wear two thousand years ago? 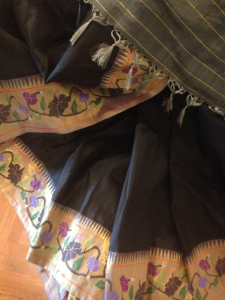 this textile art was developed back then. 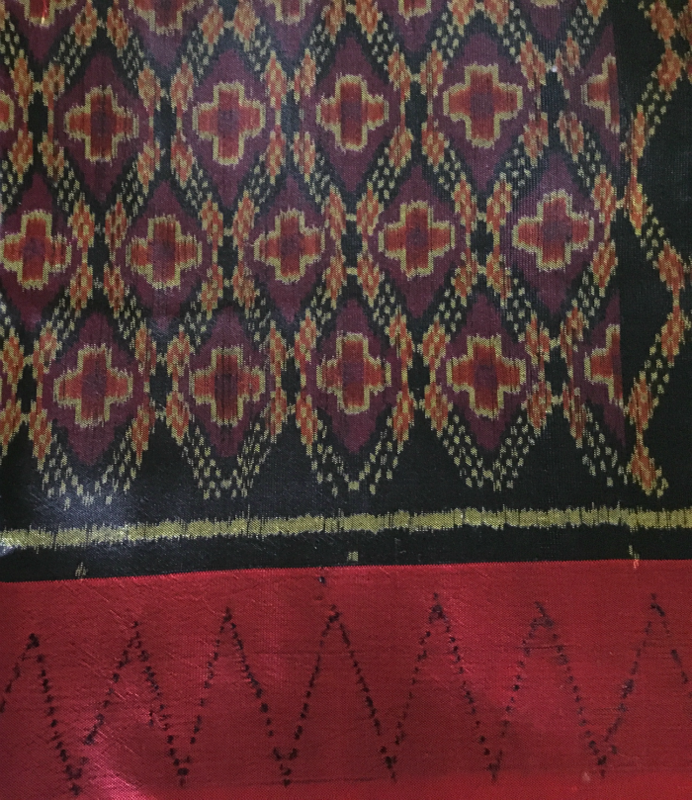 a unique way to weave multiple threads of many colours and gold and silver yarns using the ancient technique of tapestry to create a fine piece of fabric. striking colours and motifs with meaning were always part of its story. peacocks in bangles, mango, parrots, the coconut inspired nareli borders… everything had symbolism and auspicious interpretations. paithani grew and flourished on the banks of godavari, a river i am yet to see, in pratishthanapura or paithan, the capital of the highly established and large satvahana empire that spanned right across the centre of india from 230 bce to 220 ce. later when the muslim rulers came, they too fell for the resplendent sheen of paithani. aurangzeb loved the stuff as did the nizam of hyderabad. weaving centres came up near the nizam’s city. while all this had me rushing around time trying to imagine the splendour of courts and courtesans and vain kings and beautiful queens, a mughal e azam of sorts in full technicolor in my mind… what i couldn’t get over was rome. seems soon after the conquest of egypt by rome in 30 bce, trade between rome and india and other parts of asia increased dramatically, along the sea route i am guessing. and silks from china and india, including the wondrous paithani became such a rage and such a drain on roman gold, paisa paisa paisa, that the senate issued several edicts banning the wearing of silk. of course, everyone merrily blamed women for their wayward ways and expensive tastes, teehee, what changes ever. 30 bce, egypt… the year cleopatra died. i wonder if she ever saw a paithani or wore one. 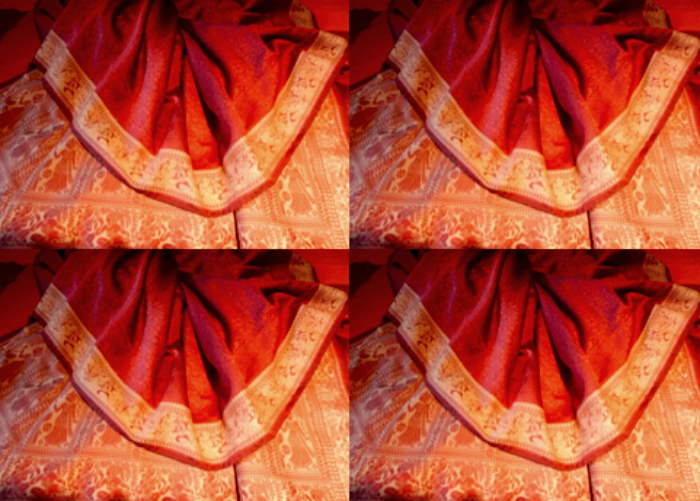 so many places a mere baro haath saree as we say in bangla, a twelve arm-lengths saree, can ferry you. 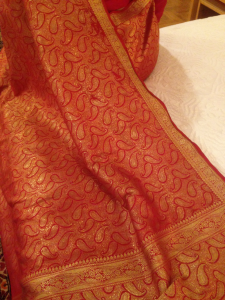 the paithani really is a saree of splendid colours i think and something about it is pure gold. 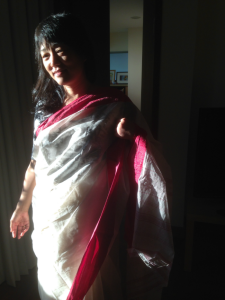 What a beautiful sari Indi di! I’ve a traditional one, in blue. Some years back, had gone for a maharashtrian wedding and was gob smacked seeing all the paithani sarees. The mother of the bride, an extremely good looking woman was in a bottle green with red border one. Had fallen for it! Have always wanted to get another one, since the one I have was a gift, and I didn’t get to choose it. So interesting to know the history behind all this. What a rich heritage we have in terms of textiles. Sari as you say is something else. 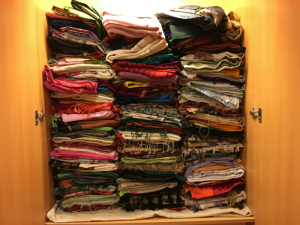 authentic and well known sources, but i was really impressed to read rashmi gives a huge percentage to weavers and also the ease of doing business on a fairly high value item, out of india… quite unexpected for me. thanks for reading, sir. Paithani, I read the word and I am drawn instantly in here. Having grown up in the Maharasthrian capital, everything belonging to Maharashtra is dear to me and attracts me instantly, especially as I have missed the place a lot, more now when I realise that I’ve spent more years outside the state than I’ve spent in it. Oh, Paithanis are a must have. The beautiful bright colours and their combinations would enrich the festive Maharasthrian ensemble. Glad you aspire to get them, hunt and finally acquire them. Beautiful saree up there. Thanks for the historical descriptions. Didn’t know the Paithani was so popular in the far away lands too. hi durga, thanks for reading. i had no ideas about paithanis till i heard of them while stufying mass comm at sophia’s. they are deadly beautiful. i have the more understated colours, but must get a bright one for my girl. astonishing art.